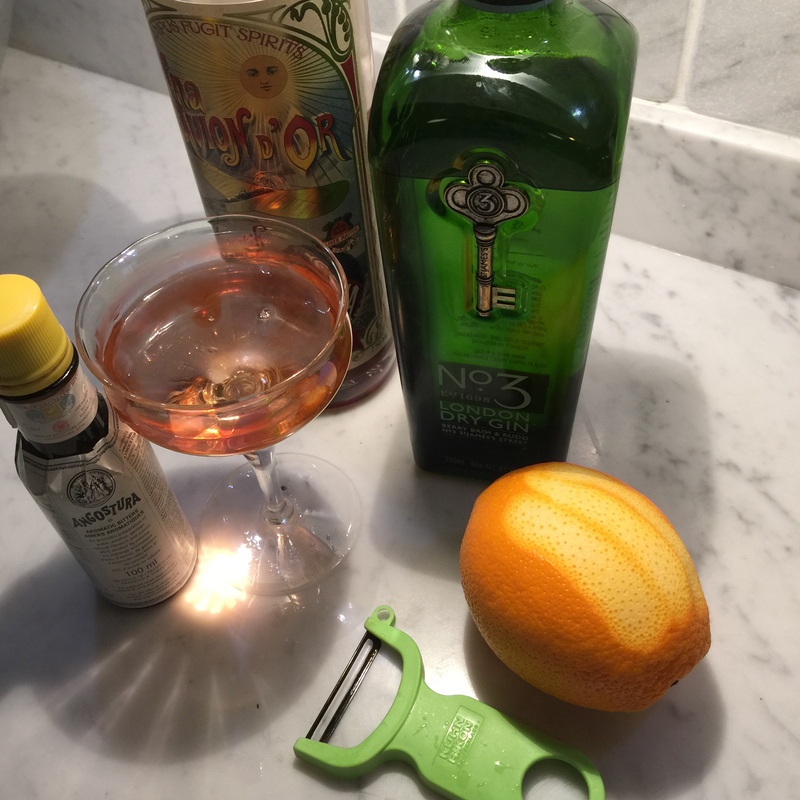 I’ve always been a huge fan of The Vesper cocktail from Ian Fleming’s Casino Royale fame. When visiting London this past summer, I jumped at the chance to try the cocktail at its place of origin, Dukes’ Bar at The Dukes Hotel on St. James Road. Served table side on a small cart, the Dukes’ version varied from mine in that they do a 2:1 gin to vodka ratio and try to stay true to the original Kina Lillet by using Sacred Vermouth. Kina L’Avion D’Or vermouth, available in North America, is an excellent alternative to Sacred, by the way. They insist on using the excellent No. 3 gin made down the street also on St. James Road and recommend Polish vodka in keeping with the original. Anyway, the cocktail was nothing short of sublime and if you’re a Vesper fan, I encourage you to give it a try.